Looking for easy Halloween decorations? 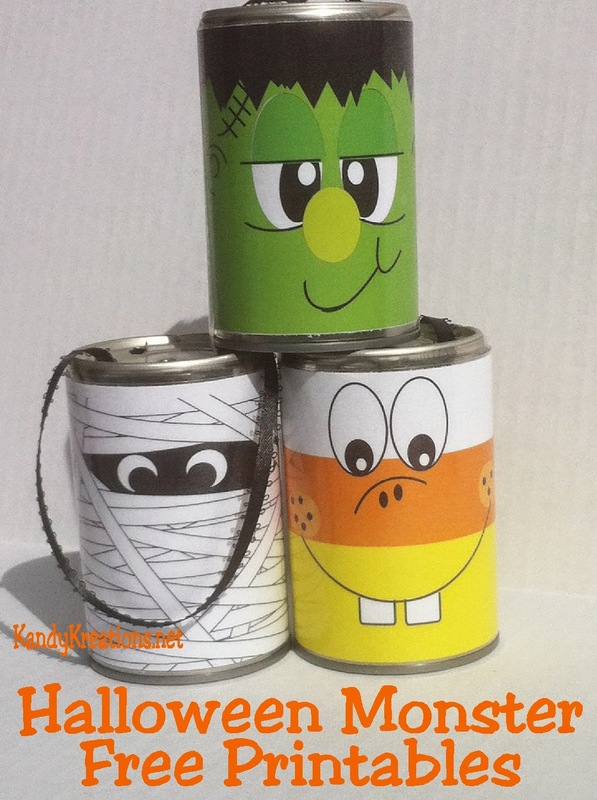 How about these free printables Halloween monsters using tin cans. These easy tin can crafts can be used for Halloween games, halloween mantel decorations, or treat holders for your little ghouls. When you can't draw like me, it's so nice to be able to just print up something and it looks like you spent hours working on the craft, decoration, or treat. It looks like you are Wonder woman to all your non-crafty friends. So when I decided I needed a few more monsters to swing by my house for Halloween, I wasn't sure how to do that (while still making it look good.) 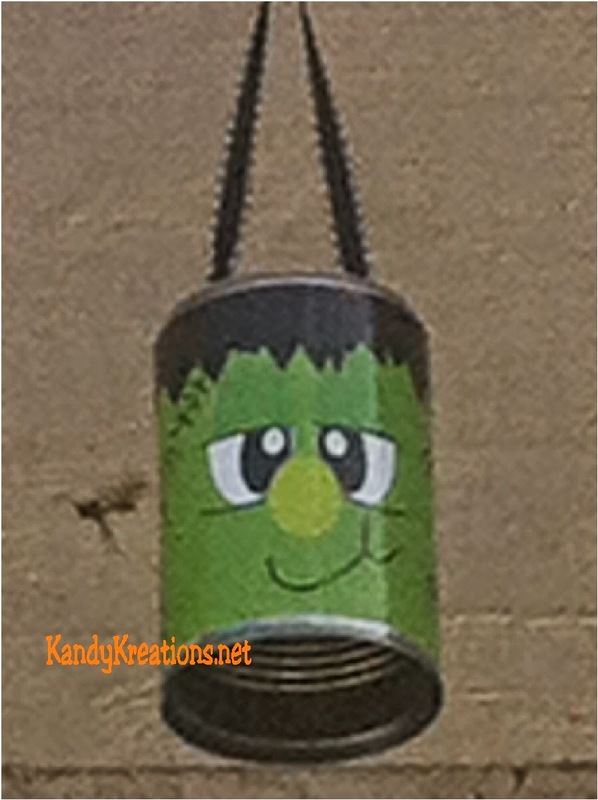 So I knew I needed a few printables to join my Monster Mash, and this tin can crafts set was born. I orginally wanted my tin can craft printables to decorate the outside of my house. I have them hanging around the edge of the gutters so they are swinging in the wind, guarding my house from the "bad" monsters out there this Halloween. But as I started making them, I knew these monster printables would be good for so much more. Can't you see them as a bowling game at your Halloween party? With a witch, a mummy, a candy corn, a Frankenstein, a ghost, a bat, a pumpkin, a skeleton, and two different monsters (okay, so there's a slight resemblance to Mike Wizawski and Cookie Monster)--there's ten different monster printables, so that would work perfect for playing bowling or Knock the Can Down. Or maybe you can pop the bottom of the tin can off and fill with goodies like we did for our Cream of Easter Soup can gift. 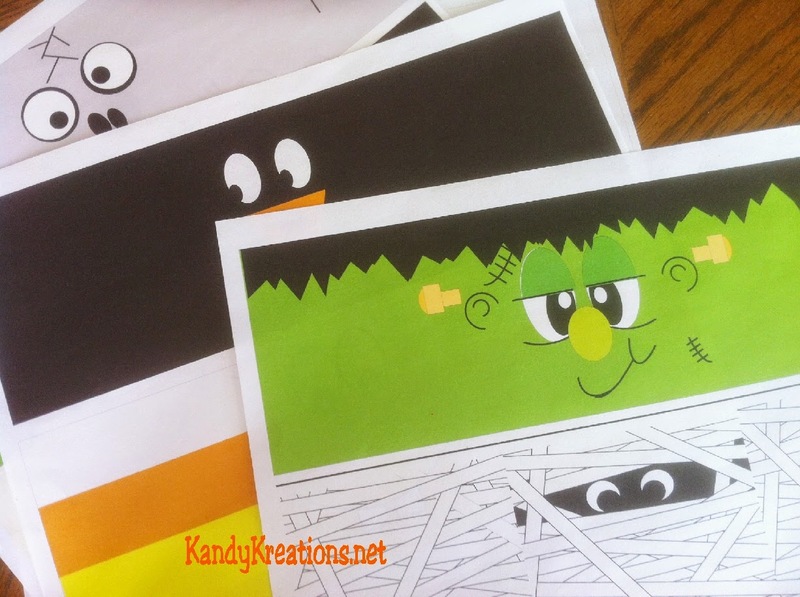 Then wrap this fun printable around it as a fun Halloween treat! 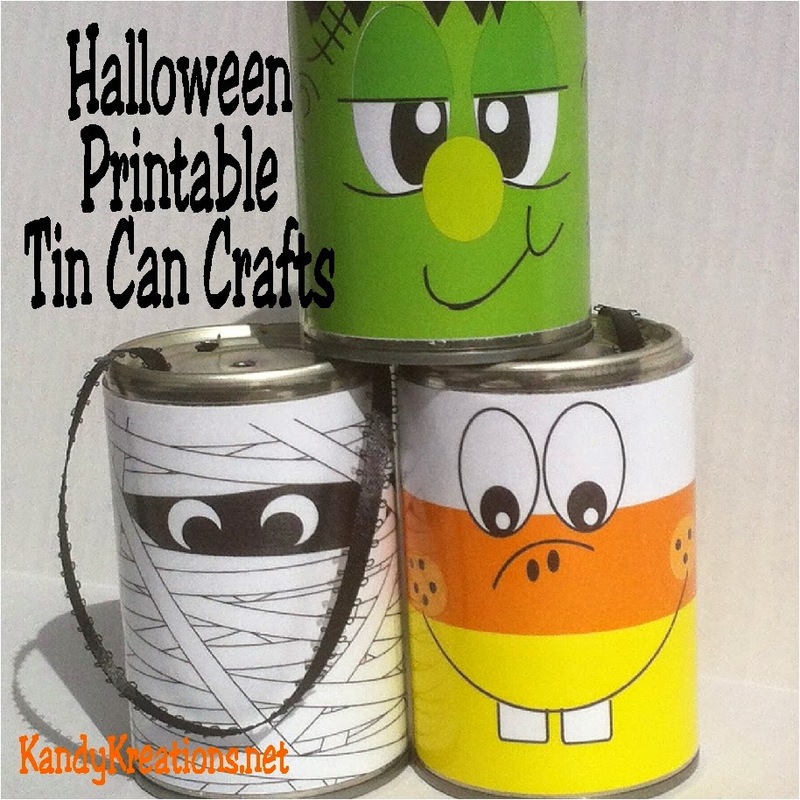 How would you use these Easy Halloween Decorations Free Printables for Tin Can Crafts? If you make them, would you show me on our Facebook page? I'd love to see! You can find the JPG file for the ten monsters here.